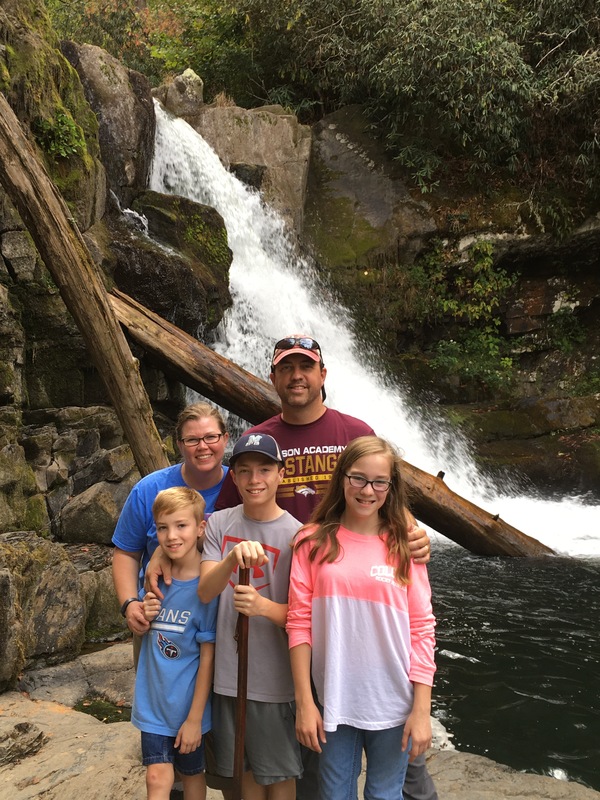 We enjoyed a fabulous hike to Abrahm’s Fall today in Cade’s Cove. We hiked five miles in about 3 1/2 hours. I think this was our longest family hike, but we all made it! On the way out of Cade’s Cove we also saw a bear. I chose not to get out of the car for a picture.